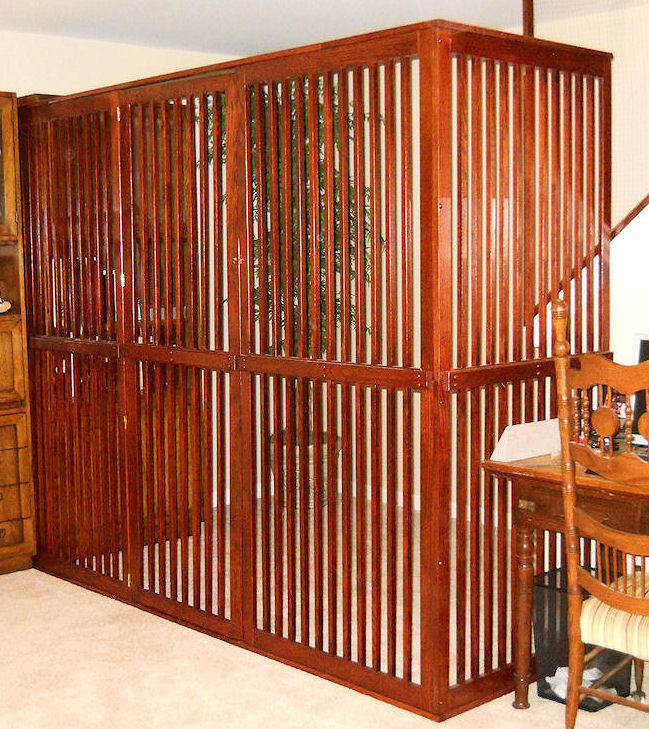 Extra high and full size indoor dog and cat enclosure / room divider, designed as an attractive open containment alternative to shutting pets in a room or a crate. 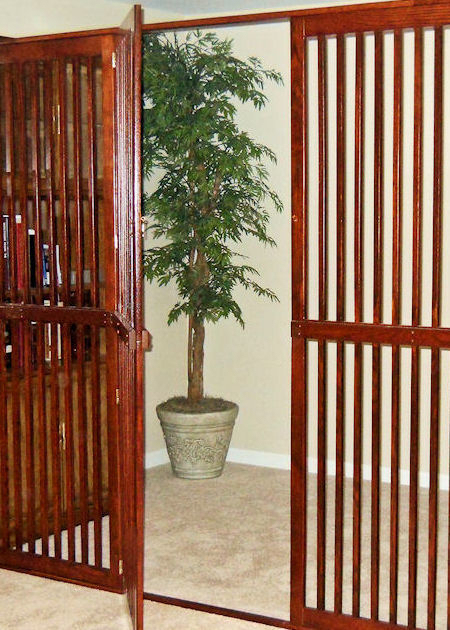 The very tall 77" high walls can keep most jumping, climbing cats and dogs in or out of an area and to keep 2 or more pets apart. 2 per side, panel to wall adjustable from 3/4" to 2 3/4"
- All photos here show an 88" wide front panel with a 30" wide right side panel. 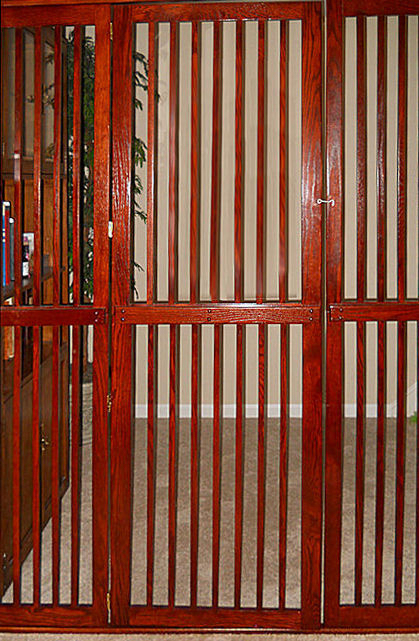 The main front door section is available 5' or 7' 4" wide, and has a 28" wide 2 way door. Comes with one left or right side 30" wide side panel. 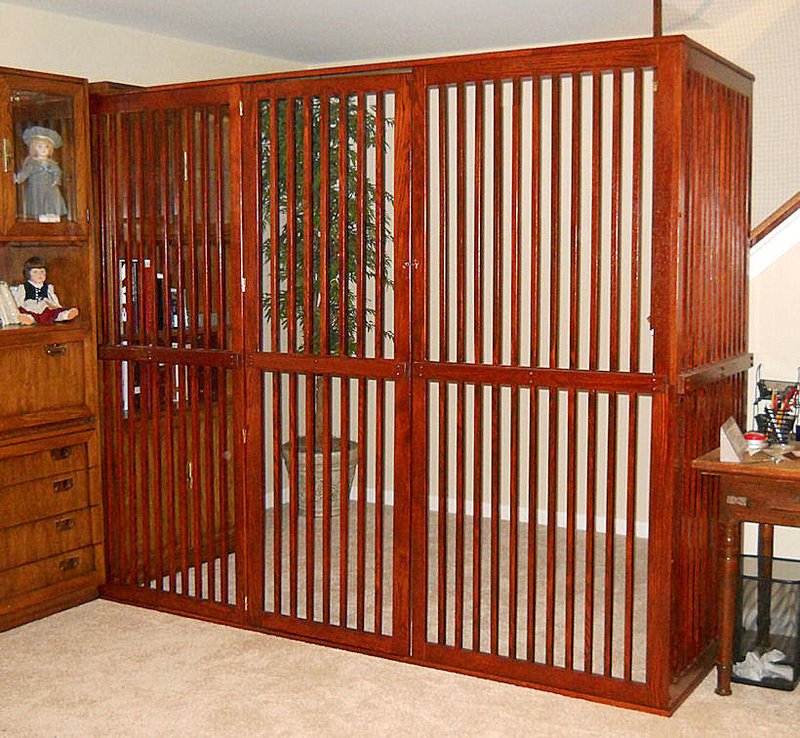 Additional 30" panels can be added to the front, side or for a third side. Available in solid oak or maple hardwood with a choice of finish options. 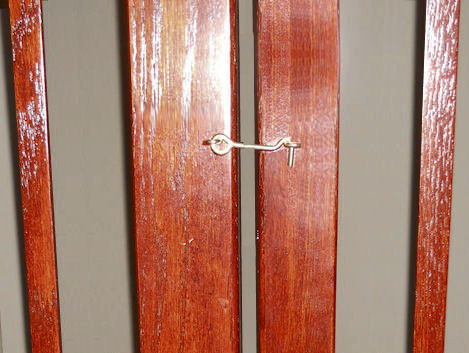 The panels and door have 3/4" square slats with 2" wide openings, and are framed with 2" to 2 1/2" wide tops and sides. The panels are tied together with a header and footer board on top and bottom. Must be attached to walls, not designed to be free standing. 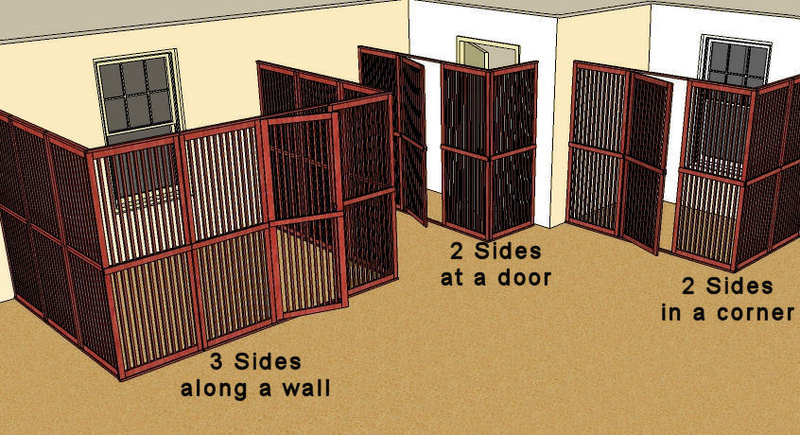 It is very important that these enclosures are attached to a wall with brackets. they cannot be free standing as they may tip. Wall Mounting Brackets, 2 where each wall ends, are provided to attach the panels to walls. 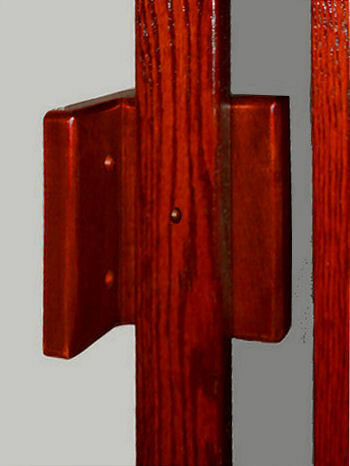 The brackets allow for 3/4" to 2 3/4" panel to wall adjustments. These should work with many setups and rooms, however special mounting may be needed depending on the type of wall and other obstacles. The end user may have to do some modifications and acquire other fasteners and mounting hardware. Each panel section is split in middle allowing for standard ground shipping. A screw driver (powered recommended) is required for reassembly.